Francis Purdew is one of the earliest known English planemakers, active as early as the 1680s up until the late 1720s. This plane is a recent find, hidden at the bottom of a tool chest containing a quantity of poor quality items from the 20th century, needless to say it put a smile on my face that such an early and rare plane was found in such company. Purdew is one of only two makers known to use an oval mark, struck on the side of the stock rather than the toe, the other being his apprentice Ellis Wright. 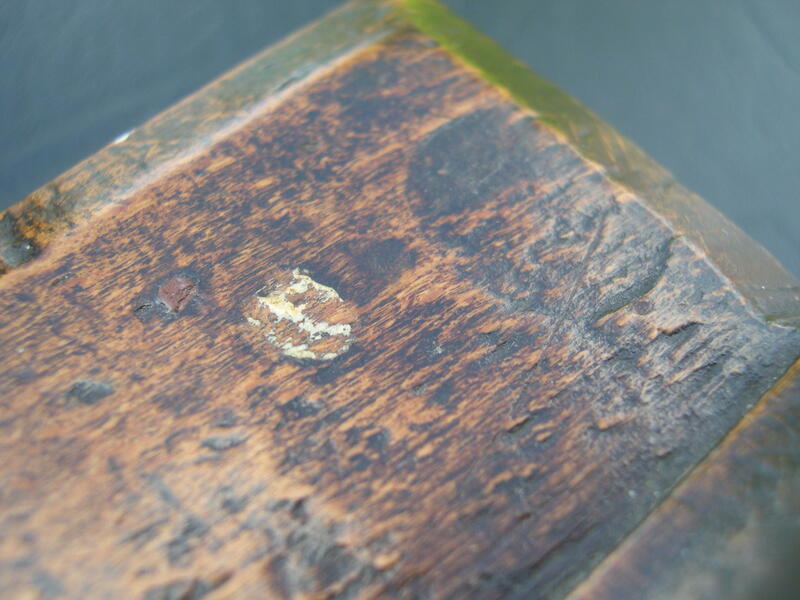 As most marks are unclear due to being on the side, rather than end, grain a variety of opinions have circulated regarding what the mark actually said. Luckily, due to the work carried out by Don and Anne Wing, we now know that it reads ‘THIS IS FRAN PURDEUS MAKE’. The mark on this plane is unclear but, having shown it to a number of people with knowledge greater than mine, we are certain that it is a PURDEW plane. 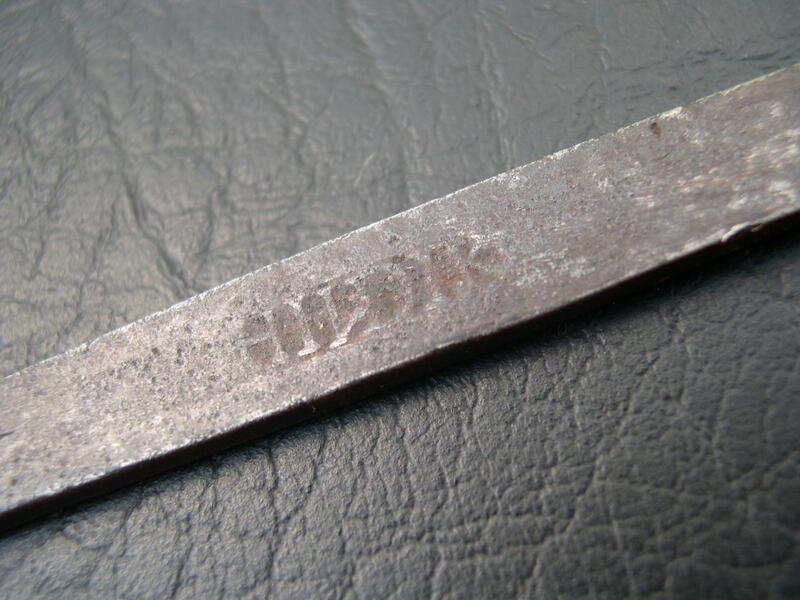 Other identifying signs include the obvious chamfer to the outside of the shoulder, a bevel to the front edge of the wedge mortice and the iron which is stamped ‘HILDIK’. 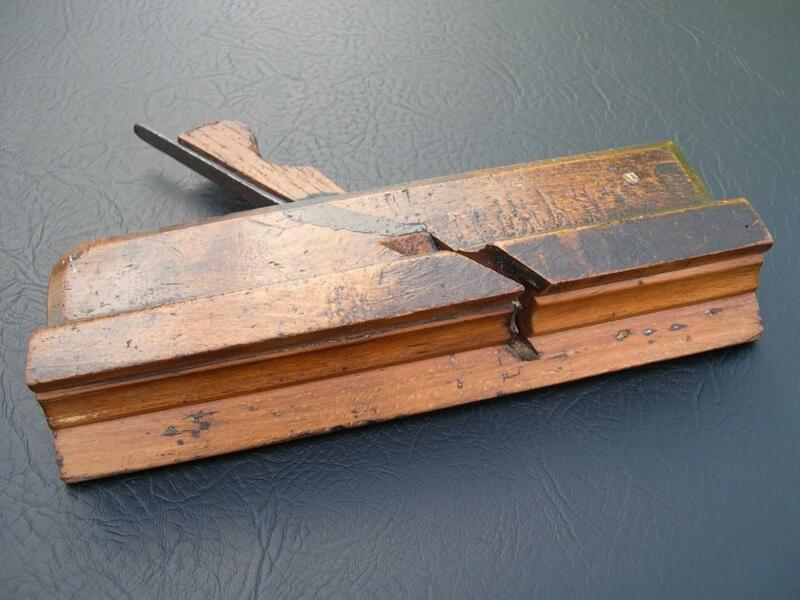 Like so many of the early moulding planes, this one has been shot (shortened) at the toe and now measures 9.3/8 inches. More than likely this was done to match the length of other planes in the craftsman’s kit. The wedge is a replacement in oak and, after speaking with Richard Arnold (www.oldwoodplanes.co.uk) I will be making a replacement of the correct style (round top) and material (beech). It’s great to know that tools of this age and history are still to be found and certainly provides an incentive to continue the hunt.